We spend a lot of time in our kitchens. Do you? It’s where we cook all our main meals, bake delicious treats, grab a drink, and indulge in a midnight snack. The kitchen is often the most high-traffic area in any home. So what happens when it becomes cluttered and chaotic from a lack of organization? You can’t find anything when you need it! A well-organized kitchen is key to making nutritious meals, avoiding food poisoning, and simply finding what you’re looking for. Regardless of anything else you do, it is very important to declutter your entire kitchen. You should not keep items you don’t use. Go through your fridge and pantry. Throw out expired food and any other products you cannot or do not want to eat anymore. Only keep what you know you will consume! This same logic applies to your cutlery, appliances, pots, pans, and other kitchen items. Are plastic containers missing lids or are lids missing containers? If so, throw them away—they’re of no use to you anymore. If an appliance is just taking up space, donate it (if it still works) or throw it out. 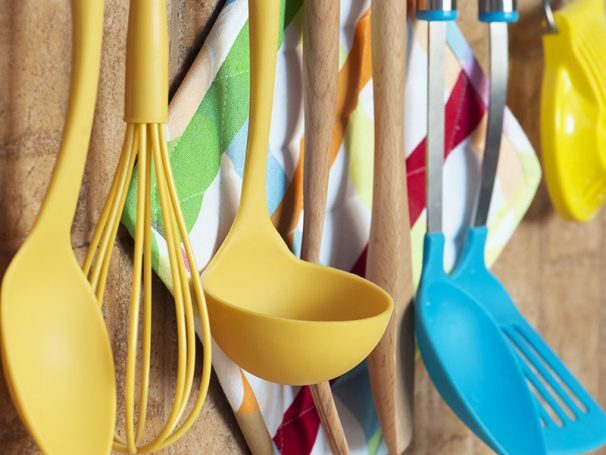 After you’ve decluttered, you are well on your way to an organized kitchen! Decluttering can do the job, but you will likely also want to change how you store things because clearly, something isn’t working. We highly recommend storing based on use. For instance, your cutlery should have its own drawer, ideally near the meal prep area. Your plates and glasses should be together, and your pots and pans should have their own space too. Take a moment to evaluate how you use your kitchen. Do you make coffee or tea as soon as you wake up? Store your mugs, tea bags, and coffee grounds in a cupboard right near your kettle and coffee maker. Use this logic with other areas, and it’ll be surprising how smoothly your kitchen activities will go. Shoving cutlery into a draw isn’t very organized, nor is shoving boxes of pasta or spices into your cupboards. Using drawer dividers, plastic containers, wire racks, et cetera to separate your cutlery, spices, and dishes will work wonders. You’ll be able to separate forks from knives, spot the spice you need, and have better access to everything! If you are using storage containers (which you should) a good piece of advice for organizing your kitchen is to clearly label everything. Thus, you can put the label “sugar” on a plastic container, mark “oregano” on a spice jar lid, et cetera. You should also always mark plastic freezer bags and other containers with the contents and date. This helps you avoid freezer burn and lets you know exactly what you have. 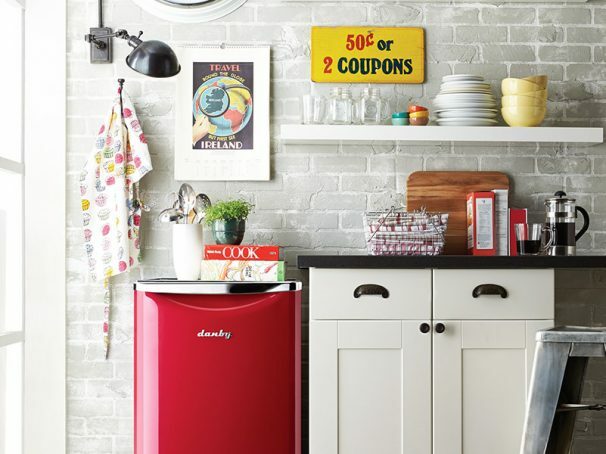 Did you know there is more space in your kitchen than just in drawers and on shelves? You can make use of the door to cupboards as well. You’ll need hooks or containers like you used to stick on your locker door as a student. Hang dish towels on the hooks, put spices in the containers, et cetera. 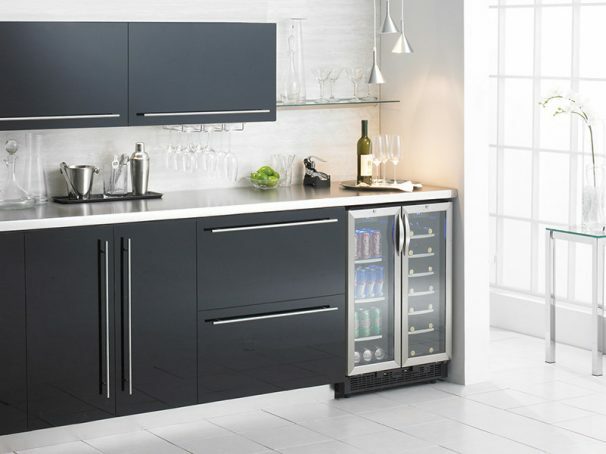 In short, you will be able to store far more than you thought you could while still maintaining an organized kitchen!